Faasai Resort and Spa, an eco resort in Thailand’s coastal province of Chanthaburi , is rearing red jungle fowl, Thailand’s heritage chickens that were the ancestors of modern poultry. NAYAIYARM, Thailand - July 30, 2015 - PRLog -- Guests at Faasai Resort and Spa, an eco resort on the east coast of Thailand, can now encounter red jungle fowl at the resort, a rare jungle species from Southeast Asia which is the ancestor of modern chickens. Red jungle fowl have been reared as backyard chickens by local villagers for many years and since they still have the genes of their wild ancestors and are good fliers, a colony has escaped and is now nesting in the resort’s organic farm and wildlife sanctuary. 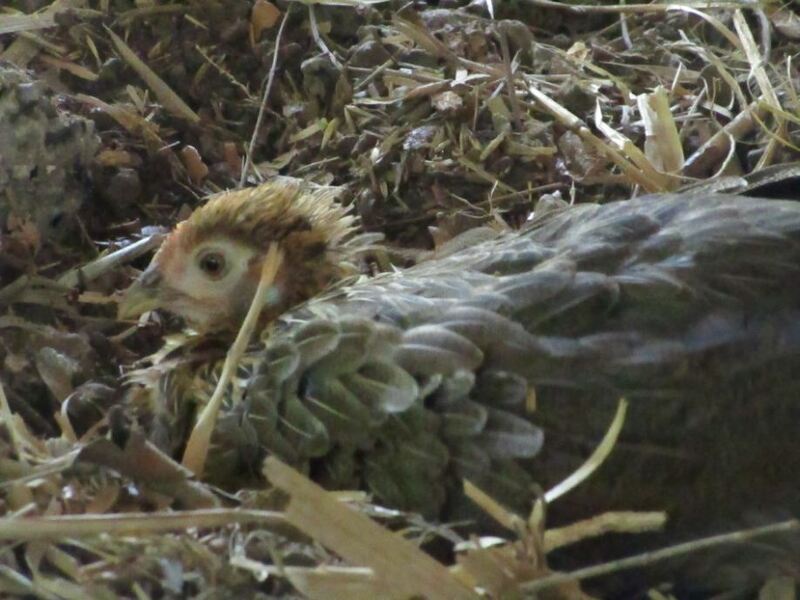 When one of the feral chicks at the farm was abandoned by its mother on Valentine’s Day the owners Bronwen Evans and Surin Laopha rescued it and hand-raised it. The chick, which they called Valentina, is now five months old. She is very tame and friendly and lives in a spacious and airy hen house at the resort with two companions, a male and female, which were given to them by one of the housekeepers at the resort, who lives in the local village. Bronwen says although the birds are kept in a secure enclosure for their safety, they want them to have as natural a life as possible and so she provides them with wild treats such as berries, termites, sunflower seeds and home-grown corn, in addition to rice and commercial feed. The chickens also enjoy dust baths, have their own perches and nesting boxes and will be given an outdoor area to scratch around in. “We plan to breed a second generation of chicks which we hope will be as tame and friendly as Valentina,” Bronwen says. Although there may have been some interbreeding with the village chickens, Bronwen says their birds still have the typical characteristics of the original red jungle fowl, which is an ancient species going back nearly 5,000 years and which were the ancestors of today’s modern chickens. For example, the male has a white spot under his wattles, they are smaller and leaner and good fliers, with features that seem more like a pheasant than a chicken. The females only have a residual comb and they often hold their tails horizontally.